Dr. John P. Franchina, D.O., P.C. John P. Franchina, D.O., P.C., is a medical practice specializing in obstetrics and gynecology. We offer care to women from the early teenage years through menopause and beyond. Dr. John Franchina is a board certified OB/GYN. 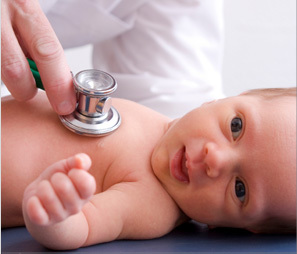 Dr. Franchina and his knowledgeable and experienced staff will guide women through their pregnancies, assist patient's in dealing with women's health related issues and concerns, and in maintaining health and wellness. Dr. Franchina and his staff will assist women through routine and high risk pregnancies. Ultrasound and non-stress test examinations are offered in the office. Gynecological services include annual examinations and pap smears, as well as other medical treatments including surgery for gynecological problems. Our full website is currently under construction and will be available soon. Keep checking back for updates. Please call 631.321.1239 in advance to setup an appointment. You can also reach us via email at info@drfranchina.com. Please make note that our old office located at 786 Montauk Highway, West Islip, NY 11701 has moved to the above location.